Online MBA Report spoke to Catherine A. Honig, Ph.D., Associate Professor and Chair, MBA Program at National Louis University about their online MBA program, which is noted for an interdisciplinary approach and ties to a number of local Chicago organizations. What type of student typically enrolls in National Louis University’s online MBA program? Our MBA students are wonderfully diverse. 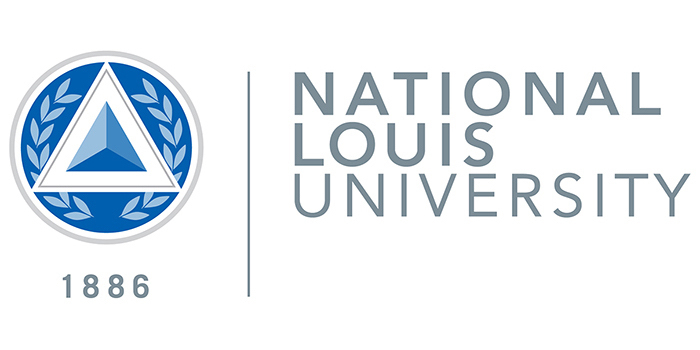 National Louis University’s (NLU) mission underscores access and opportunity, and the MBA Program is proud to serve an ethnically vibrant student body. Particularly notable is that about two-thirds of our students are women who aim to establish, advance, or reposition their careers. Many have entrepreneurial aspirations, and many have job roles in the nonprofit sector where their career goals are directed toward positively impacting a cause or community. All envision themselves as future leaders. It is a particular point of pride that our MBA Program plays a role in helping so many deserving students to fulfill their academic and professional goals. National Louis is known for its adult-focused curriculum. How is that different than other Online MBA programs? Since its founding in 1886, NLU has been recognized as a pioneer in the field of education, and the MBA Program is a contemporary embodiment of this rich tradition. Embedded in our program culture is a fundamental acknowledgement of our students’ professional experience and career goals. Market indicators, industry perspectives, and partner organizations are strong curriculum drivers, but we don’t stop there. We really listen to what our students are telling us about how they learn, how they experience organizational life, and how they aspire to bring business and leadership skills to bear. Our students’ voices figured prominently in our most recent program redesign and led us to position leadership at the center of the curriculum. In addition, we continuously pilot and offer a variety of online and blended delivery formats in order to meet the complex scheduling needs of our working students. Do students work in a cohort or other system for student engagement? Our online MBA Program features open cohorts of 25 or fewer students. Students get to know one another during the course of the program, and the smaller class sizes allow for extensive, meaningful interaction with both peers and faculty. Concentration courses in areas such as nonprofit management welcome students across the disciplines—e.g., business administration, human services, higher education leadership, and public administration. This approach heightens students’ exposure to interdisciplinary perspectives and encourages greater breadth in innovation and problem-solving. How do students in the National Louis blended and online MBA program interact with faculty? Building community in our blended and online MBA courses is a strongly held program value. On the blended side, students meet with faculty weekly (or bi-weekly) in a face-to-face classroom where an active learning approach calls for whole-group and small-group case discussion, assessment debriefing, student presentations, teamwork, and more. Between class sessions, students and faculty use the learning management system (LMS) to continue the discussion (and activities) online. Online courses offer a weekly series of experiences that introduce the subject matter via a variety of methods (e.g., narrated presentations, videos, podcasts, online assessments, research-related activities). The faculty play an integral role in helping students to apply new learning. They actively participate in the weekly online discussions, and they also engage with students via additional asynchronous (e.g., social media) and synchronous (e.g., real-time web conferencing) approaches. In all delivery formats, students receive weekly supportive feedback that addresses subject matter comprehension, learning and study approaches, and even technology tools. The degree of interaction between students and faculty is high, and it engenders a productive and beneficial mentoring relationship. NLU’s MBA Program is supported by a corps of full-time and adjunct faculty whose cumulative and current endeavors encompass publication, presentation, conference leadership roles, and journal editorial boards. Because excellence in teaching is integral to our work, a number of faculty members have earned online teaching certificates (Online Learning Consortium) and online course design certifications (Quality Matters) while others have developed special expertise in running large-scale simulations (Capstone Simulation) and in managing online student teams. Most of our MBA students are already employed when they enter the program. Notably, a number of them come from long-time partner organizations such as Chicago-area hospitals and nonprofit community-based organizations. While many students seek advancement in their current work organizations, our NLU Career Bridge (described earlier) can help connect job-seeking students with employers. My best advice for prospective candidates is to set goals in three very important areas. First, it’s important for students to think intentionally and strategically about where they want the MBA degree to take them. Will an MBA help them to open a new business? Earn a promotion? Switch careers? Having a focused goal will help candidates prepare a strong, cohesive application. It also will help them to hit the ground running when they start the program because they will be ready to address the program’s course assignments in such a way as to advance their particular learning goals. Second, candidates should begin to craft a learning plan—such as a weekly schedule for reading and reviewing course material, completing assignments, and working with peers on team projects. Online courses offer infinite flexibility, but having a learning plan will help students stay on track as they work toward goals. Does the plan afford a realistic balance among work, family, and school? This is an important consideration. Third, on entering the MBA program, candidates (now students) should get to know the program faculty. The MBA faculty members have significant professional experience to share, they enjoy learning about students’ learning and career goals, and they look forward to the opportunity to mentor and guide. Why should a prospective MBA candidate choose National Louis University? Supporting MBA students in meeting their professional development and career goals is essentially synonymous with preparing them to lead, and both the content and the delivery approach of NLU’s MBA program ensure that we meet this objective. The major learning outcomes of our MBA program — which drive course content across the curriculum — address both critical business functions and key leadership competencies. Application assignments, case studies, and simulations help deliver content in ways that encourage strategic integration of key business content and support effective problem solving and decision making. Feedback from students tells us that these application-oriented opportunities are eye-opening learning experiences that prepare them to lead. Thanks to Catherine Honig for participating. For more interviews, check out our Online MBA Report Interview Series.